There are many places that manufacturers hide their device’s model numbers. It used to be a simple label printed on the bottom or side of your device that clearly listed everything is easily readable text. That was just too easy so manufacturers had to complicate things and seem to try and hide them now or make them almost illegible. While this is not a comprehensive guide we do list most of the main manufacturers and where they hide their model numbers. 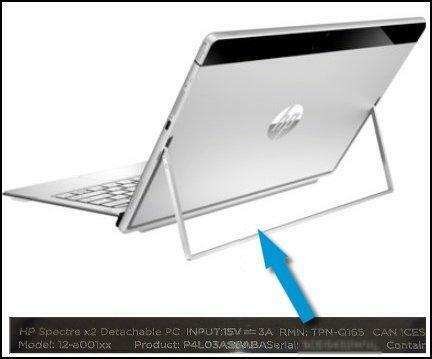 The model number is located on the right hand side of the desktop near the bottom of the side panel on a white label. 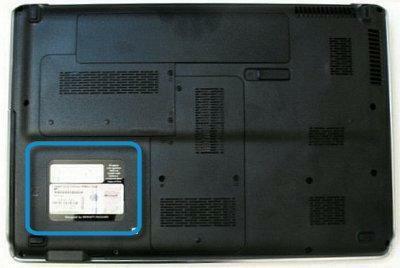 The model number is located on the bottom side of the laptop on a white label. 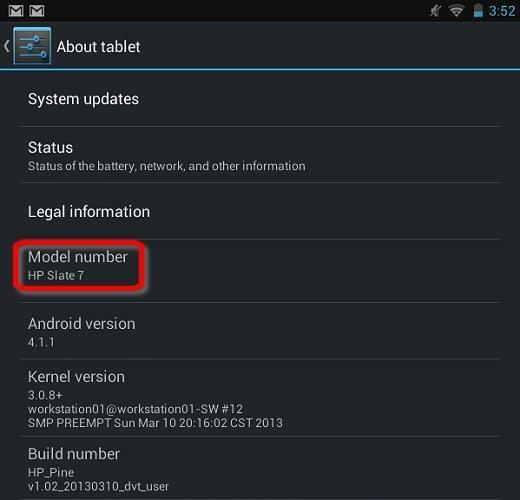 The model number for Android devices can always be found by opening the Settings App and selecting the About Device option usually located at the end of the menu. Alternatively the model can also be found on the device’s original packaging and sometimes on the back side of device or under battery for models that have a removable battery. The model number of all types of Asus devices are listed at there website here. 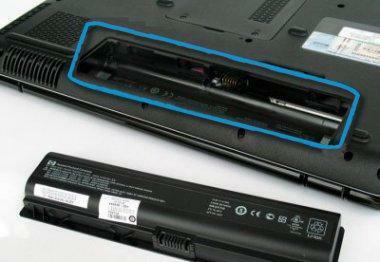 The model number is located on the bottom side of the laptop on a label. 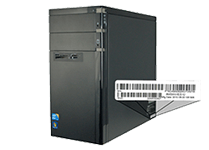 Note: The preferred Dell identifiers are the Service Tag or Express Service Tag identifiers. This allows lookup of full device specifications and provides better support and diagnosis help. The Service Tag is a 7-character code, and the Express Service Tag is a 10 to 11-digit code that is a numeric version of the Service Tag. Both codes will probably be located on the back of the computer case, but can also be located on the top or side of the system. 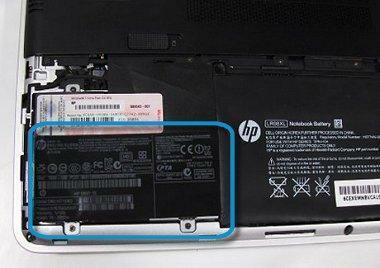 The service tags may be on the back side of device, under removable cover, or under removable battery. The service tag may be on the bezel, under removable cover, or under kickstand. 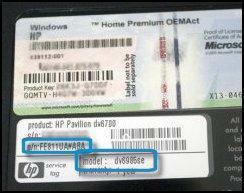 Note: HP Devices often contain both a product number and a model number. Either of these is acceptable in identifying your exact device. Model number and product number will most likely be located on the side of the computer case, but can also be located on the top or rear of the system. The model number may be on the rear of the device, under the battery, under a removable cover, or under the kickstand. Older models are most likely on a label on the back cover. Newer devices are usually located under the battery or under a removable cover on back of device. Note: Apple products are identified with a model number that begins with an A followed by four numbers ie: A1418 and often a 4 digit EMC number. They also have an Apple part number that consists of 9 letter/number combination beginning with M. To get the part number you will often have to lookup your serial number on a site like everymac.com. The part number is more specific however either are acceptable for most situations. 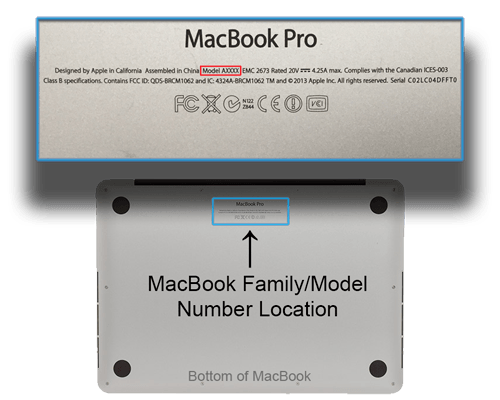 The model number is on the underside of the base (or foot) of the iMac, along with serial, bar code, and regulatory markings.